Morgan City Rentals offers a complete range of wire rope or cable spooling units for rent. Our diesel cable spooling unit will aid with removal, installation and change-out of wire rope onsite. These hydraulic spooling units can be rented for day, week or monthly rentals. Machines can be mobilized on short notice to aid in getting your project back in working order! Let our team help you with your next project! Contact us for a fast quote. Max Reel Diameter: 96" or 108"
Shaft Safety Latches, 20 HP Diesel over Hydraulic Drive, 0-10 RPM with 65,000 lb/in Torque. Available for rent for day, week or month. 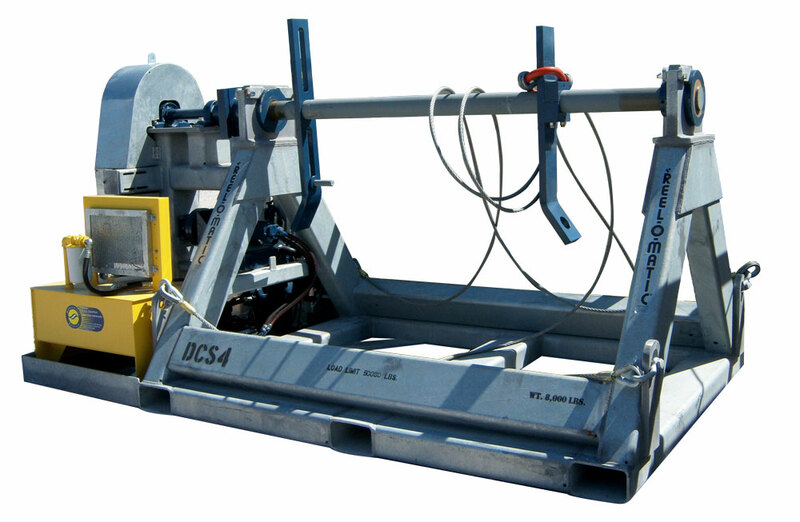 Diesel powered cable spooling units with back tensioning capabilities are also available. Max reel diameter is 108" and max reel width is 75".